Very interesting to work with Client Earth on a new document for use at COP24 (the 2018 United Nations climate change conference) that highlights the issues surrounding the construction of a new coal power plant in Poland. 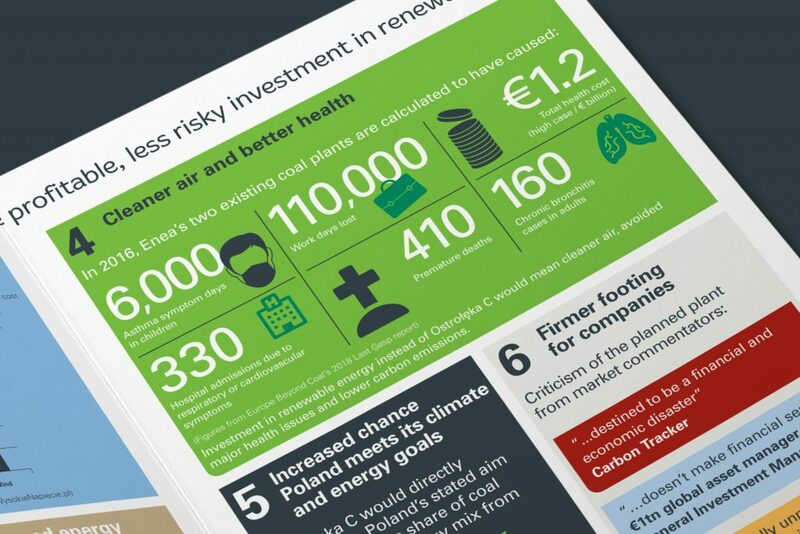 We created a set of striking infographic boxes stating the case of why the Polish energy companies should reconsider and pursue more profitable, less risky investment in renewables. 0 Comments on "Climate risk case launched over major coal plant in Poland"